You: Hello, you must be Mr. Walter. I was expecting you. My name is James. I am a Sales manager at 1000 bean. Client: Hi, James. Nice to see you. I’m Jim Walter from Kate Diamond New York. You: Thank you for taking your time and coming over. Did you find this place easily? Client: Yes, I’ve been around this neighborhood before. It’s nice and quiet area. You: Yes, we all really like this area. We’ve been here in this office for over twenty years. Client: Our office is in upper-east side of Manhattan, New York. It’s also nice and quiet and very convenient to go anywhere in the city. Please come and visit us sometime. You’re always wecome! You: Oh, thank you so much! I would love to go sometime! Would you like something to drink? We have Tea, coffee, orange juice and water. Client: I’ll have a cup of coffee please. Fitting room is over there. The fitting room is over there. Let me show you the fitting room. That looks good on you. Looks a bit big on you. Looks a bit small on you. Maybe one size bigger/smaller would be better. Let me take it to the cashier. 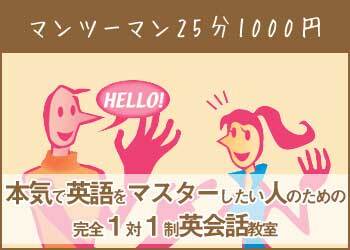 Your total will be 14,800 yen. We take credit card and cash. Would you like a bigger bag? Would you like to put in a bigger bag together? We will have a special sale next week. Thank you so much. Have a nice day. Thank you so much. Please come again. Our return policy is 30 days after purchased. What was the problem with it? I am afraid we can’t accept return after 30 days. This merchandise is discounted price. We can’t accept return. I am sorry, this style is out of (size L). We can ask other stores for the stock. I am sorry, this style is out of (red). We can ask other stores for the stock. I am sorry, but we are out of stock. I am afraid we can’t do that. We are very sorry for our mistake. I am sorry, but we can’t exchange this merchandise. I am sorry, but we can’t give you a refund. ・My clear objective of studying abroad is to ～. ・After studying abroad I want to ~. ・After studying abroad I want to get a job in a foreign country/in Japan. ・To study fashion skills of what you can’t learn in Japan. ・To study English and fashion skill at the same time. ・To work in a local company after studying abroad. The Fashion Design portfolio submission consists of three parts. List the season of the year when your designs will be worn. Show mix-and-match separates that work together. What would you think of a women who cut off all her hair and went around bald as a fashion statement? What do you think of people with tattoo? What do you think of people with body piercing? Would you pierce other parts of your body? Would you ever wear dreadlocks? Would you ever wear contacts to change your eye color? This fabric feels like a fluffy feather. Our theme for the next collection is to create a complete line of cozy sweaters. This sleeve is decorated with feathery material. My idea for the next collection is based on using a cheerful tone by using vivid colors. I’m looking for a smooth fabric for the skirt. I would like to use sheer silk for the dress. This lustrous silk is the best quality from India. Our collection will introduce more girly clothing this spring. We will express more masculine design for our next sweater line. This embroidery on the skirt hem shows more feminine design. Your dress looks very Elegant. In the few years, the teenagers will start wearing mature looking clothing. This atelier of couture is a great place to see some modern dresses. The use of earthy colors really give an exotic feel to this shirt. Urban taste is very important for the current fashion scene. Asymmetry is the key elements to make a sophisticated women’s wear.